A live-action video game battle for your entertainment. Hosted by definite video game nerds and probable comedians Dave Burkey and Erik Tait, Console Wars gets the audience in on the action. Members of the audience are brought on stage to play video games on a giant screen against our video game Gladiators. This comedy show mixes your favorite video games with lots of laughs and is exactly what you need to get through the week. Can you take home the glory? 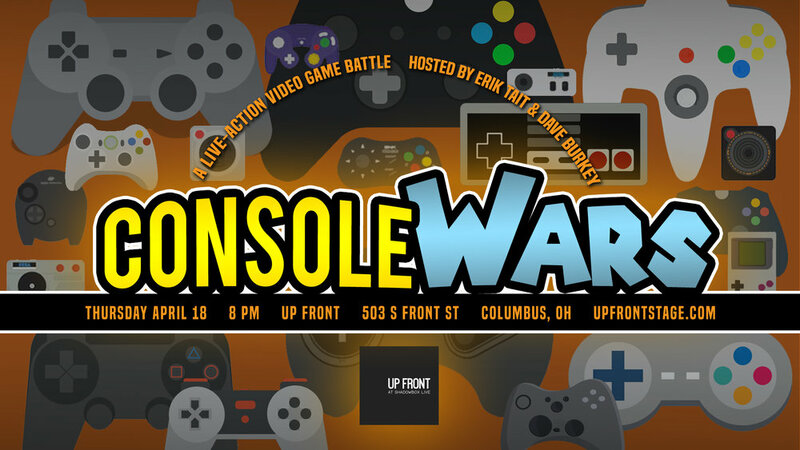 The only way to find out is to be at Console Wars! Due to language and content, this show is intended for adult audiences only.